If you draw breath you should know the STAGGERING numbers of senior adults afflicted with Alzheimers. 5.5 Million people struggling with this disease. An additional 200,000 with early onset. 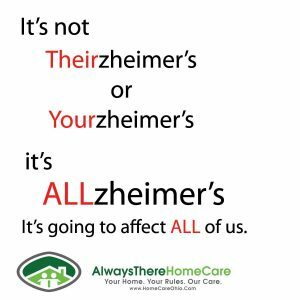 If you’ve served the needs of a person with Alzheimer’s, you are keenly aware that this is a disease that not only affects the individual, it affects the entire family. So the numbers above are exponentially more so devastating than they report. These numbers are just the first ripple in the storm. This disease is guaranteed to touch your family. This problem, this epidemic is not just affecting someone we know. It’s affecting someone we love. It’s going to represent itself somewhere in your immediate or extended family. Your community. Your household. It’s not Themzheimers, Yourzheimers, it’s ALLZHEIMERS. It’s going to affect us all. I met with a family last night who have begun to see signs of early onset Alzheimer’s with their Mother, whom they moved to Columbus when it became clear that their 20 Acre farming property was a terrible location for someone beginning to forget simple every day things. This family, like others we have met came to the realization that even in a busy bustling household with adult children popping in, Great-Grandchildren living in, 3 local daughters and 2 local sons…. There was a care deficit. They had called upon neighbors. They had asked their church for help. There was still a deficit. They found that even a close proximity to other loved ones doesn’t resolve the families concerns. Beginning a care plan before such a time of crisis is a Godsend. Be involved in a solution for your loved one before it may become too difficult to establish a relationship with a trusted caregiver. This epidemic is not going away. We are ALL in this together because this isn’t HisHeimers, HerHeimers, this is ALLZHEIMER’S!! Ben Smith is the Founder, President and C.C.I.C. 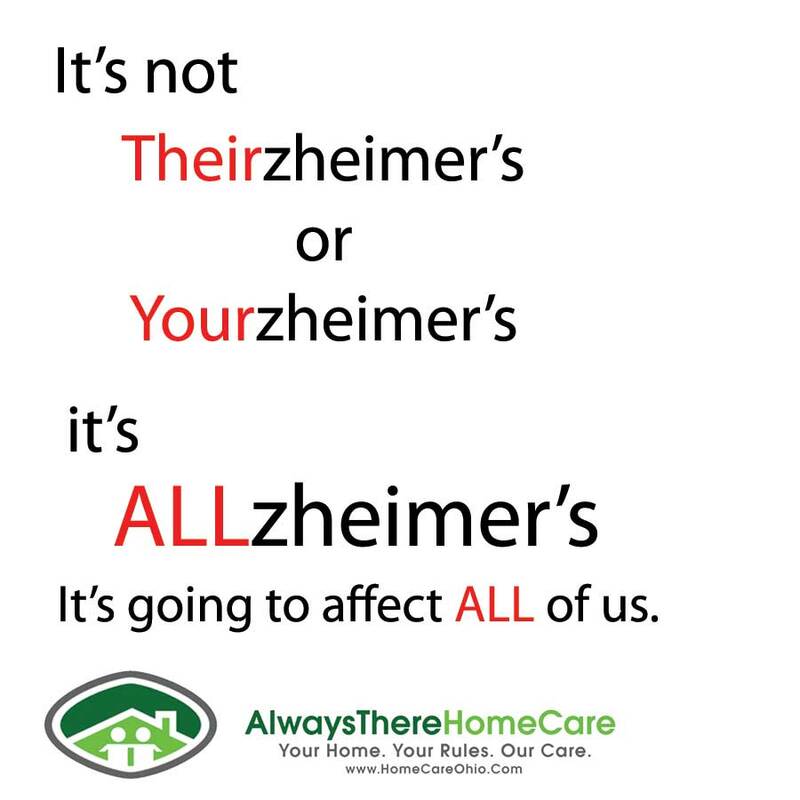 (Chief Caregiver In Charge) at Always There Home Care. Our ongoing mission in Columbus is providing solutions for families struggling with Alzheimers, Dementia and aging issues. Our motto: “Your Home. Your Rules. Our Care.” puts our care recipients and their families at the wheel for their care decisions. We build a care plan based on safety, advocacy and in tune with family budget. Call us today to schedule your free IN-Home Care assessment. The Gift of Forgetting. 2 Views from Each side of the Mountain. previous post: Right to life. Right to death. next post: The Icing or the Cake?